I took advantage of a relaxing Sunday afternoon to take photographs of not only the Dry terrain, but also Arable with SYW Prussians and Austrians deployed on them. These can be seen at my other blog, 18th Century Sojourn. For this photo session, I split the terrain items between two double sized boards painted for arid geography. The first series have Ottoman cavalry deploying behind a gentle hill. 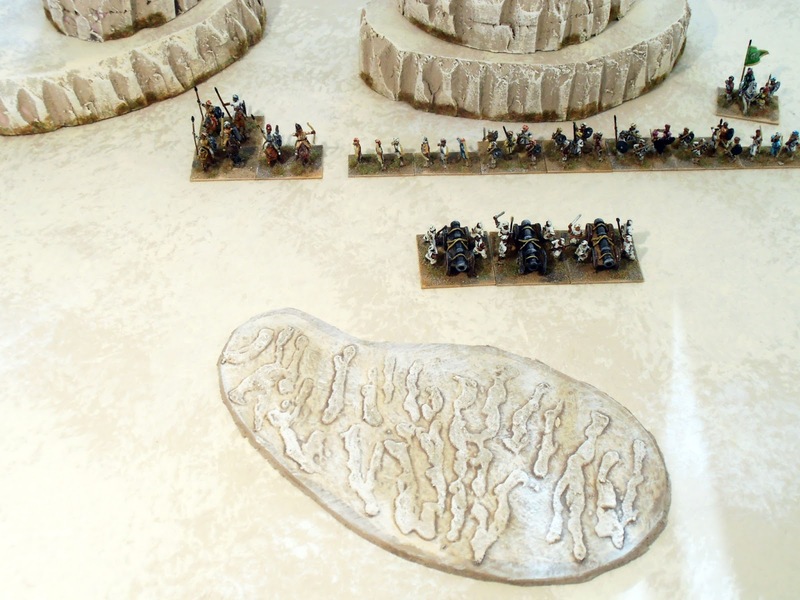 Although not listed as an option under the DBA set, we make some allowances for our historical battles to use other terrain features, such as the dry river bed. 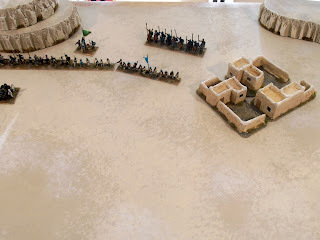 The second photo show skirmishers deployed in rough ground. The outcroppings are made from pink foam material and based so they can be removed for the placement of troops. The last photo shows the dry river bed. Mughal cavalry and infantry line up behind their heavy cannon in photo one, while in the next photo you can see the left wing resting on the village. For both photos, only one-third the numbers of elements were used. Plenty of punch left in the boxes. Thanks for sharing. I love footstools and there are many factors you have to keep in mind before buying one, from the location they are placed in, to the budget, to the material and the quality, each of these factors will have some impact on what footstool you eventually buy.